Remember my post regarding the Sephora Mini Makeup Palette given by Sephora for my birthday? 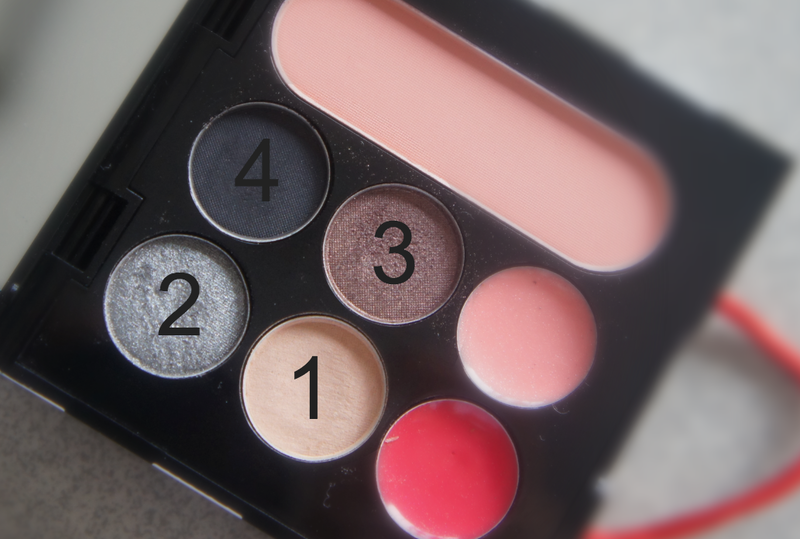 For this post I'm going to share with you how I did my eye makeup using the mini palette. 1. Prime your eyes. This will enhance the shades of the eyeshadows applied and make it last longer. 2. Apply the lightest eyeshadow shade (labeled number 1 on the palette above) to 3/4 parts of your eyelids starting from the inner corners of your eyes. 3. 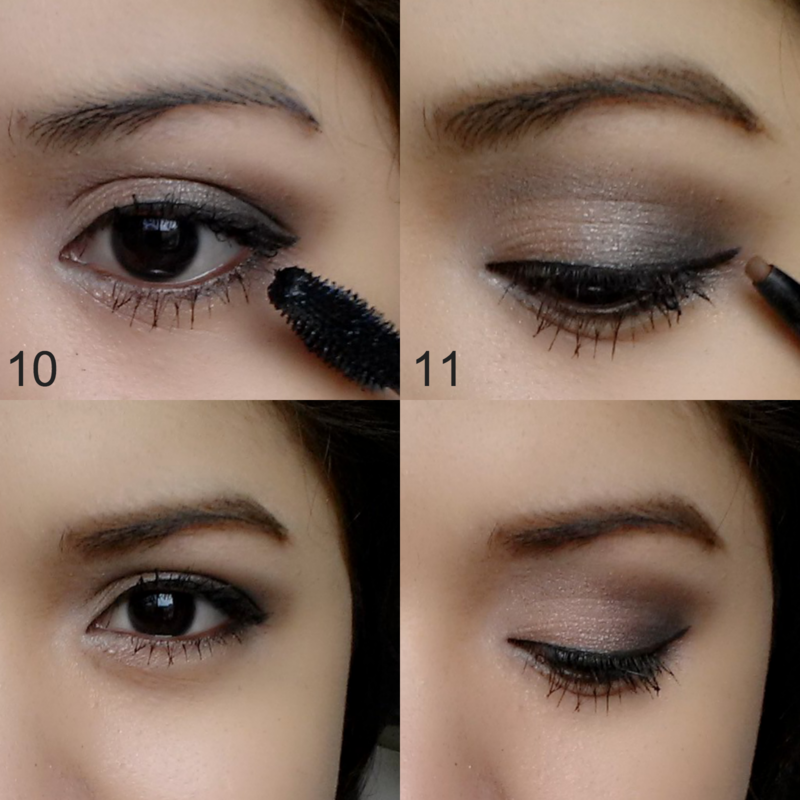 Apply the gray eyeshadow shade (labeled number 2 on the palette above) to the remaining 1/4 part of your eyes. 4. Apply the brown eyeshadow shade (labeled number 3 on the palette above) to your crease area. 5. 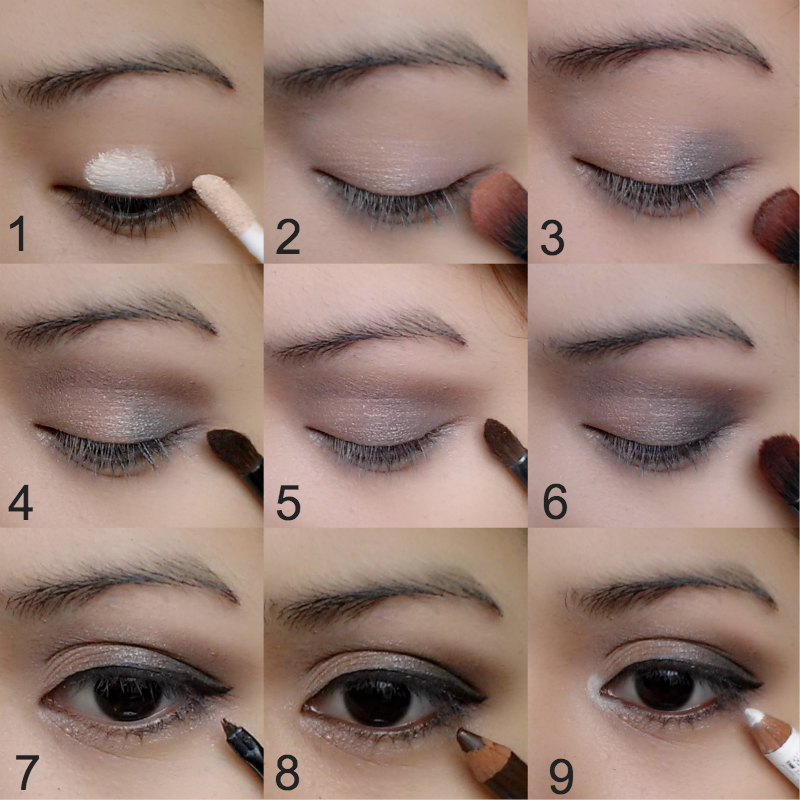 Blend the eyeshadow shades applied from steps 2 - 4. Use the brown eyeshadow shade (labeled number 3 on the palette above to blend. And don't forget to extend your way out. 6. Apply the black eyeshadow shade (labeled number 4 on the palette above) just on the corners of the outer corner of your eyes. Don't forget to blend the application. 7. Apply eyeliner to your upper lash line and 3/4 parts of your lower lash line starting for the outer corners. Wing it if you will. 8. Apply a brown eyeliner to your water line. 9. Apply a white eyeliner to the inner corners of your eyes and blend. 10. Curl your lashes and apply mascara. 11. Fill in your eye brows. Apply makeup to the rest of your face and you're done. Check out my post on How to Apply Basic Eye Makeup.